When inserted into the jaw bone, either the jawbone or the mandible, the dental implant acts as an artificial root. It is very often in the shape of a screw and is made of titanium or a titanium alloy. 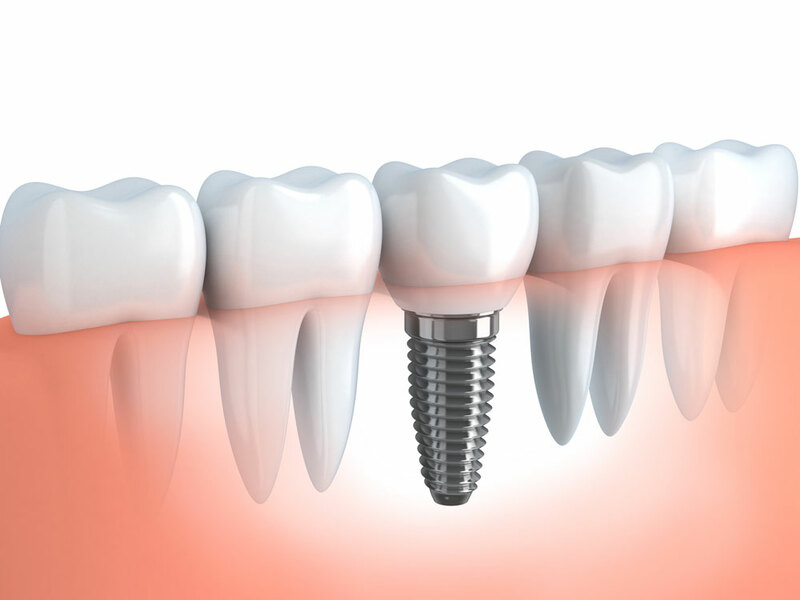 A dental implant alone cannot replace a missing natural tooth. An abutment must be placed on the implant once it has been inserted into the jaw bone. Depending on the number of teeth to be replaced, an artificial crown, prosthesis or bridge will be made and installed on the abutment. Many dental health professionals are qualified to install dental implants: dentists, oral and maxillofacial surgeons, periodontists and other dental specialists. These professionals must have extensive training in dental implant placement to qualify as implantology specialists.